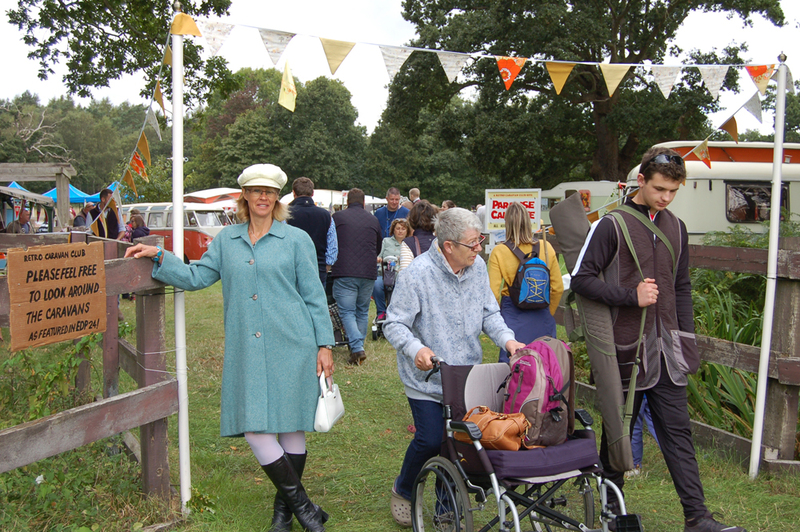 The second of our three-in-a-row rallies was on home-turf, which meant that we were the hosts. 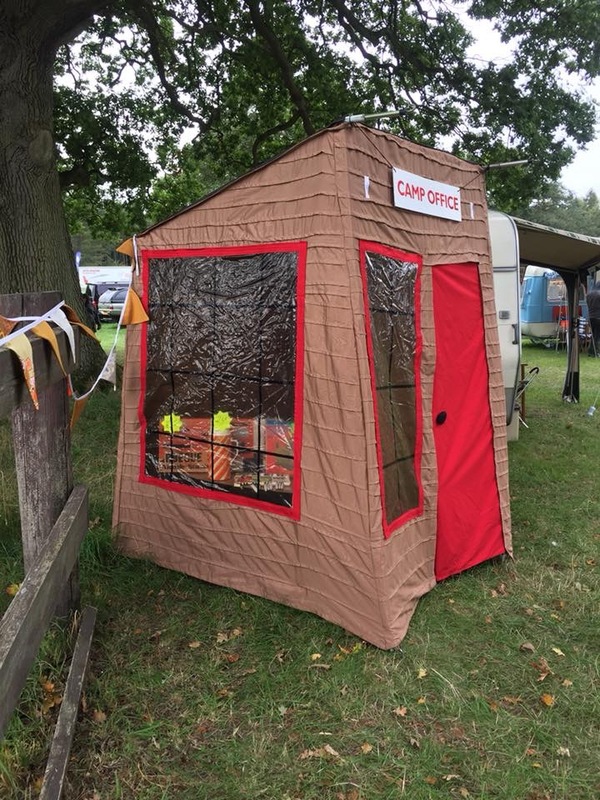 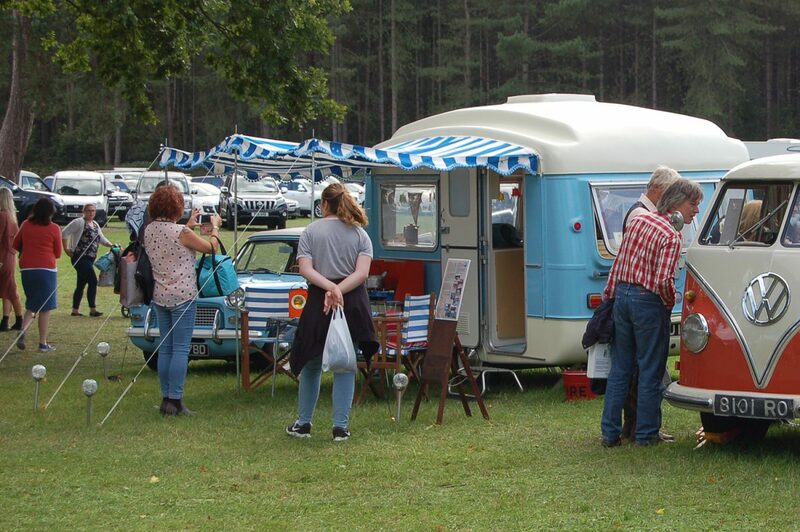 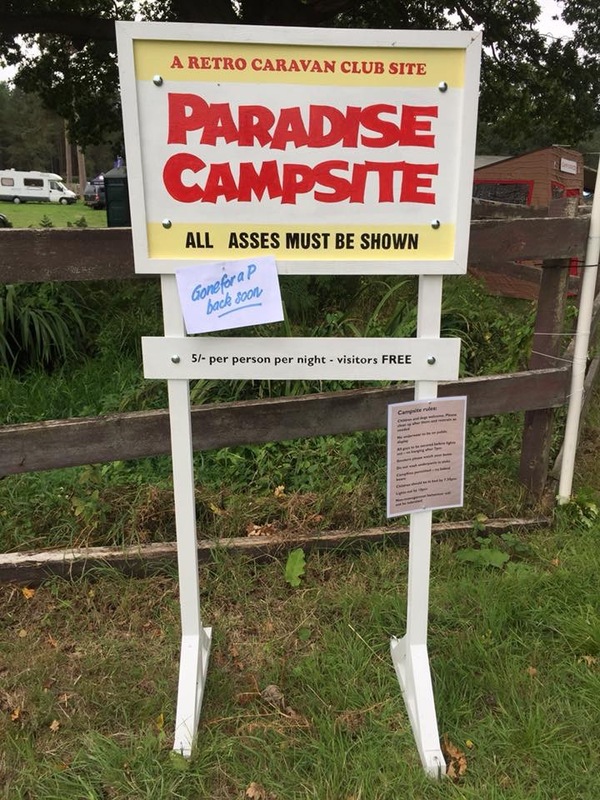 We had been invited to display our caravans as part of the Sandringham Game and Country Fair, and after much discussion we had adopted the theme of ‘Carry-On..’ A team effort had resulted in signage, bunting, a ‘Camp Office’ and the very popular ‘Camp Shower’. 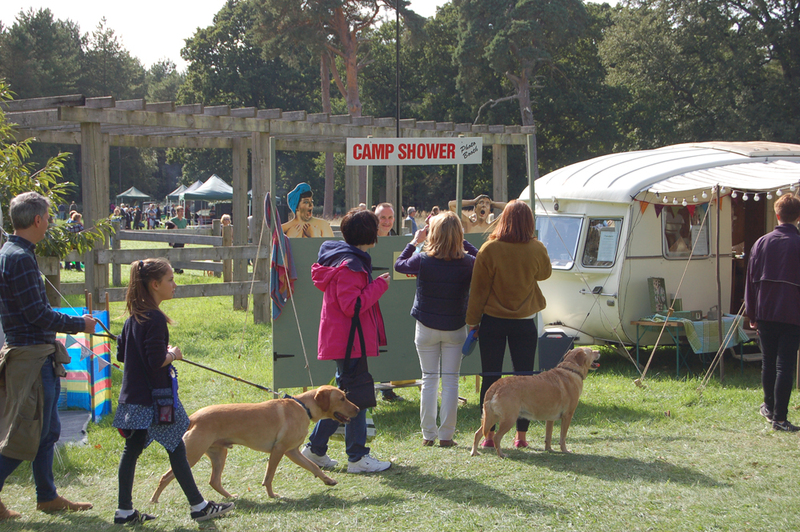 The weather stayed mainly dry, with Sunday the better day, which meant that there were lots of visitors to the show, many of whom wandered through our area and had their photos taken with Hattie and Kenneth in the shower! 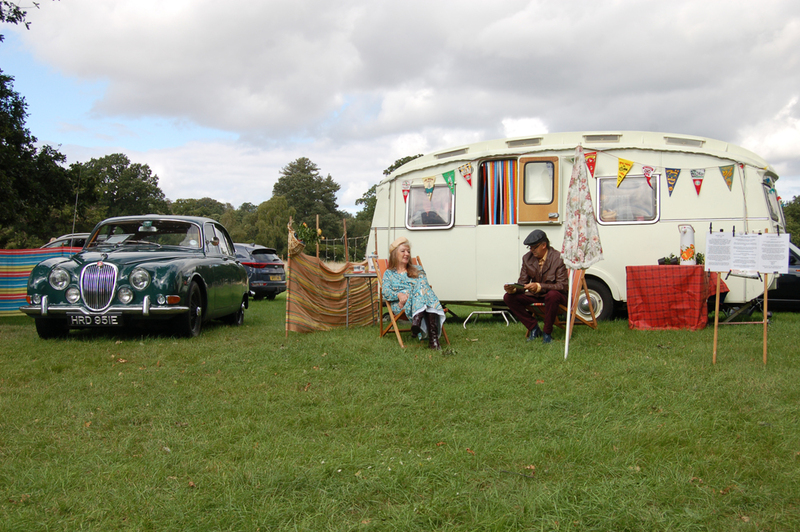 Most of the RCC members attending had agreed to dress to the age of their caravan, which added to the display. 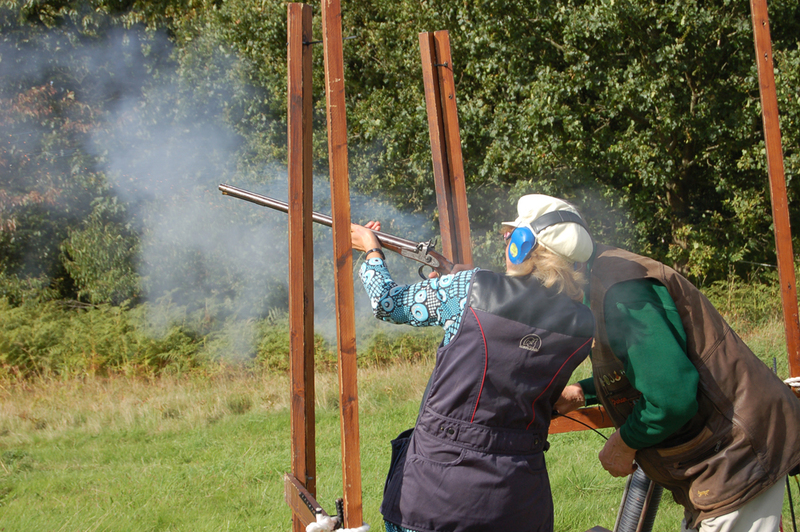 Other attractions at the show included the inevitable clay pigeon shooting, and of course we all had to have a go! 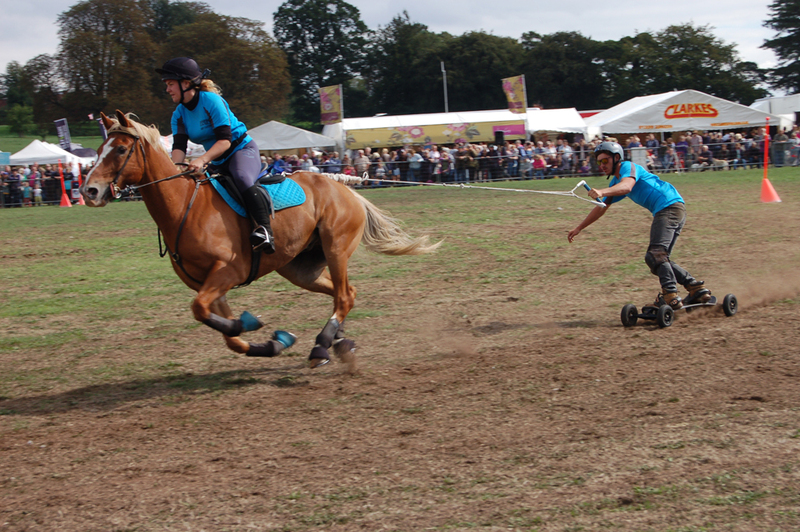 Horseboarding was something we hadn’t seen before – quite a spectacular new sport combining water/surf boarding with horse racing.